MOSCOW, June 7. /TASS/. 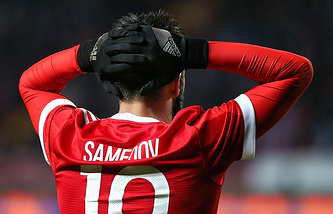 The Russian national football team dropped from its previous 66th position to record low rank of 70 in the new FIFA monthly ranking list of national teams published on Thursday. The newly-published ranking list placed the Russian national team with 457 points between the team of Guinea (69th place, 463 points) and Macedonia (71st place, 451 points). Between May 20 and 31, the Russian national football team stayed at a training camp in Austria’s Neustift im Stubaital. 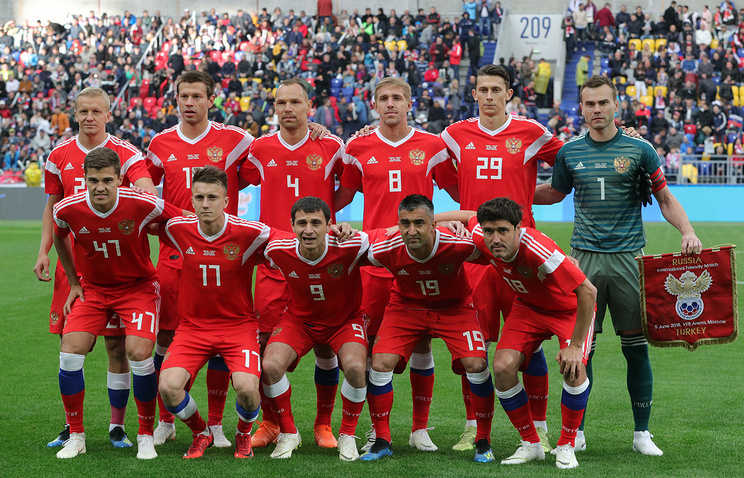 The Russian squad played a friendly football match against the Austrian team on May 30 (0-1) before going home to play against Turkey in Moscow on June 5 (1-1). "The recent flurry of pre-2018 FIFA World Cup Russia friendly matches has left its mark on the latest FIFA… World Ranking," FIFA’s statement reads. "While positions are maintained at the very top of the table, where Germany (1st, unchanged) and Brazil (2nd, unchanged) still lead the way, the Russia-bound duo of Poland (8th, up 2) and Uruguay (14th, up 3) have succeeded in making strides within the top 20." The current frontrunners in FIFA’s top-ten rankings are reigning World Champions Germany (1,558 points), followed by Brazil (1,431), Belgium (1,298), Portugal (1,274), Argentina (1,241), Switzerland (1,199), France (1,198), Poland (1,183), Chile (1,135) and Spain (1,126). "The ranking makes less pleasant reading for Spain (10th, down 2), who have swapped places with the Poles, as well as for Tunisia (21st, down 7)," according to the statement. The 2018 FIFA World Cup kicks off next Thursday with the opening match in the Russian capital of Moscow between hosts Russia and Saudi Arabia. On December 1, 2017, the State Kremlin Palace in Moscow hosted the Final Draw for the 2018 FIFA World Cup, which determined the group breakdown for the FIFA flagship event this year. A total of 32 national football squads were divided into eight groups with four teams in each. Hosts Russia were placed in Group A with teams from Saudi Arabia, Egypt and Uruguay. The next edition of FIFA’s ranking list is due to be published on July 19, 2018.